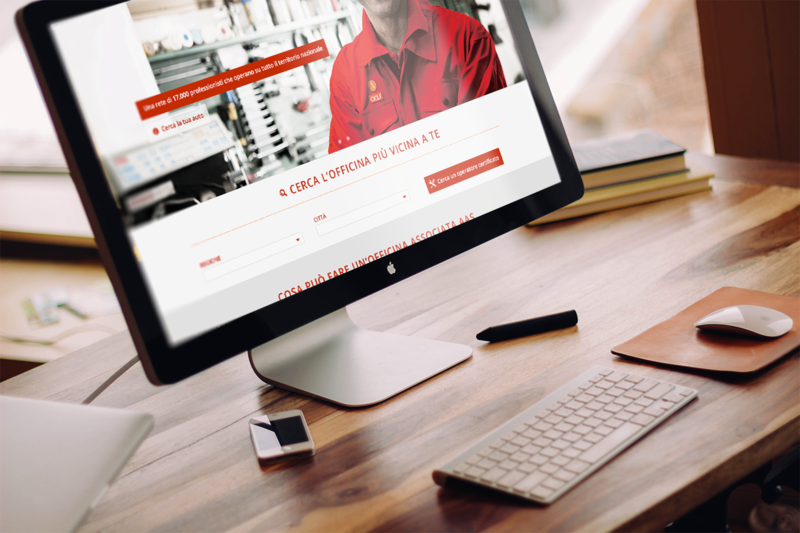 It was asked to me to manage the communication and brand Identity of AutoAffariStore the first certified second hand selling portal in Italy. This is how it was. AutoAffariStore is a company who let AsConAuto associates to share their used car together. AsConAuto counts more than 17.000 business partners all around Italy. The goal was to engage them with a smart communication and an affordable UIX for the website that can be understood by everybody in a smart way. I created all the brand assets and all the brand communication through the entire startup period. AsConAuto has two different kind of associates, the car dealer and the car mechanic. Both of them has interests in being part of the business, the first one because he can improve his used car park and the second one can improve his business area. I developed two different access for both of the players, one who is on the official website and the second one who was sent by AsConAuto to promote AutoAffariStore. The logical process I used to design all the pages was mostly on the customer needs, working mostly on his needs and answering to his main questions on how and why use this portal and be a part of it. 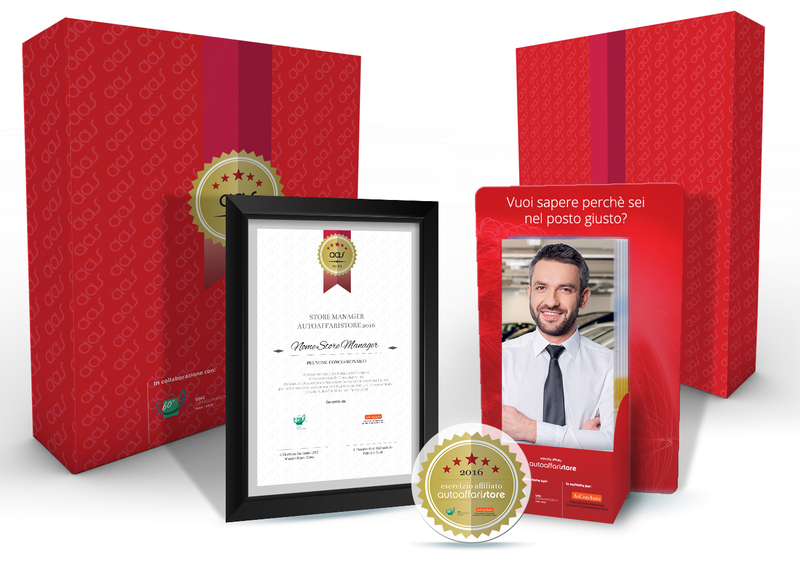 To promote the website AsConAuto has agents all around Italy, they pushed the portal using a dedicated starter kit box who includes a diploma, a seal of quality sticker for the window and a series of flyer that can be given to the final client. Every target, car dealer and mechanic has his own dedicated design. 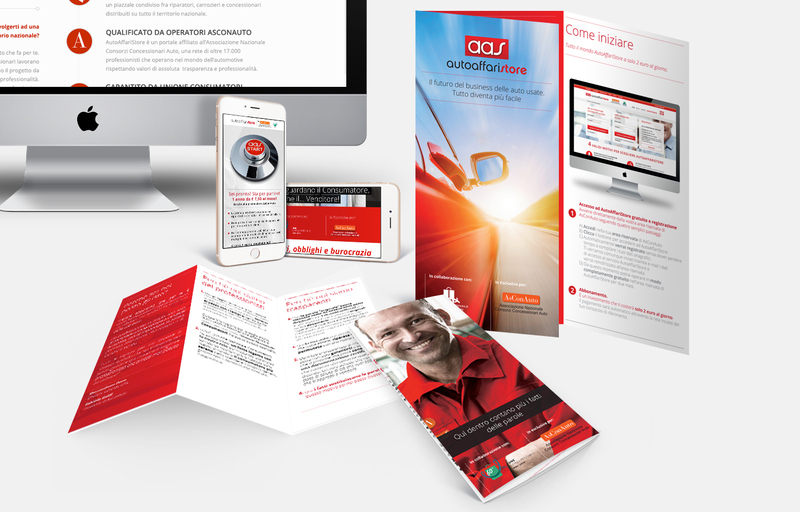 AutoAffariStore is a company who works not only in a digital way but also in a real mode. The promoters needed something to push the project throughout all the clients, that's why I developed even SEM and printed promotion material.